Young Thug is currently facing drug possession charges stemming from his arrest in September 2017. The rapper is said to be fighting the case with fervor, attempting to get the whole ordeal thrown out completely. He is accusing the police officers of having applied improper procedure when taking him into custody. According to reports, the rapper filed court documents in his drug case today, December 17. The filing demands that evidence we disregarded, especially all the statements the cops received from the rapper after his arrest. Thug claims the cops failed to read his Miranda Rights when they performed the arrest rendering all information received through the artist's spoken account invalid. The filing also claims the initial reason for the interaction was "unlawful" as the police did not have probable cause to search Thug's vehicle after stopping him for tinted windows. His alleged "intent to sell" drugs is also being questioned. The defendant claims no definite measures of paraphernalia or possession was documented appropriately to justify his charges. After last year's arrest, the rapper was arrested again after he failed to pass a drug test. 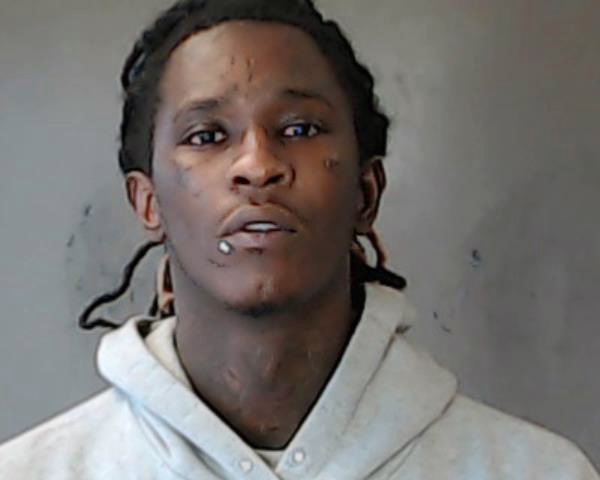 Thug has since been ordered to undergo weekly testing while participating in an outpatient drug rehabilitation program. Young Thug faces three years in prison.